Curly in the City: getting excited & I need your tips! getting excited & I need your tips! Hey Taylor! My mom and I went to Thailand in March 2010 (including an extension to Phuket). Girl just go everywhere! Must do Thai Massages (so cheap! esp in Phulet - 2 hr massage fr $25 US dollars); definitely charter a boat while there (so cheap) and girl just eat your way through Bangkok.. street food stands everywhere.i loved the fried bananas and mango with chile salt. You and your family will have an amazing time!! :) ..i also loved the flower market too! Thanks love!!! This sounds like what we plan on doing, eating, exploring and relaxing!!! I haven't been but I wishhh I could go. Everything I know about Thailand I learned from America's Next Top Model. Whomp. whomp whomp! HAHA!!! Well I will teach you once i get home! 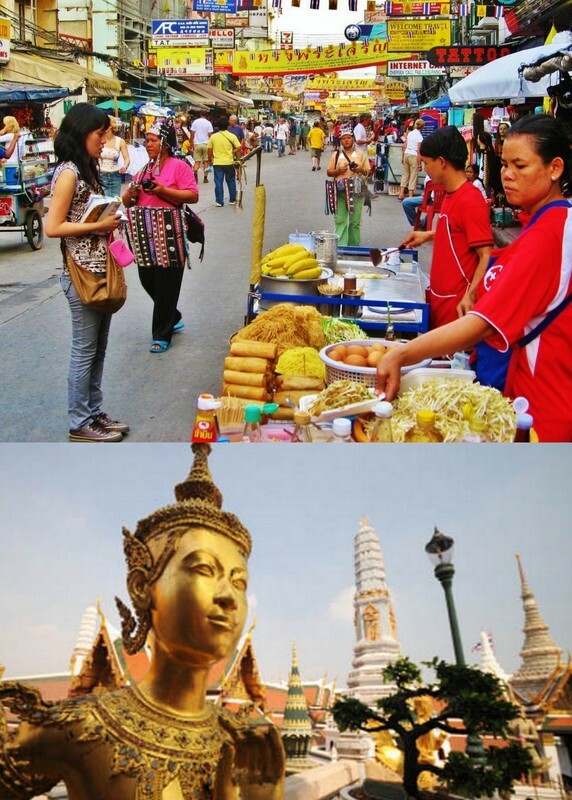 I've haven't been to Thailand but I have stayed in Cambodia for an entire month right next door to Thailand. Definitly go to the Buddist Temples they are amazing through out South East Asia! Don't be afraid of the street food. Thank you, this is just what i was looking for!!! I want to stay waaay more than 2 weeks to explore! I went about a year ago and absolutely loved it! You are in for an amazing vacation. Seriously, eat everything. The food is so good and don't be too scared about street vendors that look a little shady. The best meal I had was one that I swore would make me sick (it didn't). Get foot massages - I got one almost every day and it was $6 US dollars for one hour. Amazing. When in Bangkok and headed to the Grand Palace..do not be fooled by the guys that look like they work there on the way in. They might tell you its closed for a service and route you on a tuk tuk with one of their buddies to make a few extra bucks. While on the topic of tuk tuks...definitely negotiate!! In Phuket the Phi Phi Islands are indeed crowded and for a reason. They are gorgeous. We also did a kayak tour which was really cool. Have a great time!! My boyfriend and I went to Thailand this past April and had a great time! Bangkok can get crowded - if you want to see the Reclining Buddha, definitely make sure you don't have to be anywhere quickly once you are done. The streets get very congested with traffic and it took us an hour and a half to get back to our hotel. Also, don't go to the seedy area of Phat Phong - trust me. 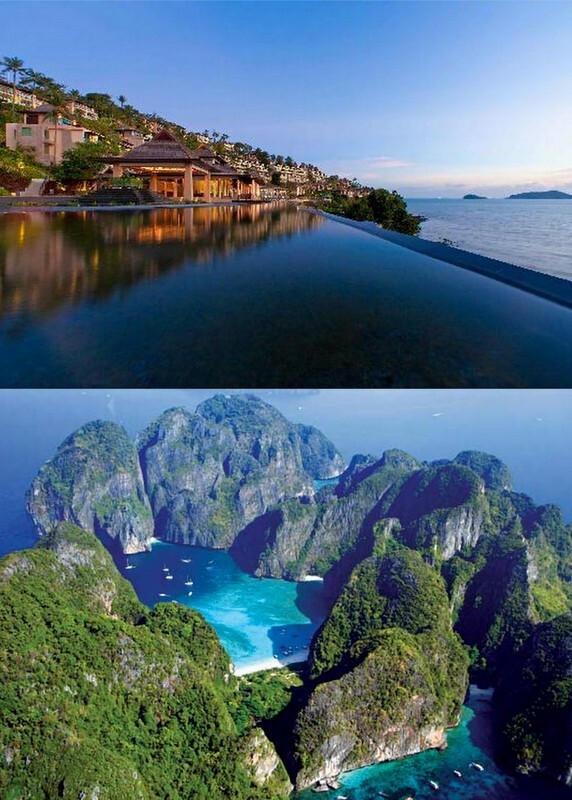 ;) In Phuket, definitely check out Phi Phi Island. We did a "Shark Tour" when snorkeling, which was a blast! Be sure to check out the amateur mui thai fighting! We also went to Chiang Mai and went on an elephant tour and visited temples. Just be careful - everyone we met was very nice, but there are scams out there, so make sure you get cabs or tik tiks on your own, don't let anyone get them for you. But my biggest piece of advice - take a travel backpack! My boyfriend and I were able to get around soooo much faster with just our backpacks; pack lightly and you can make it work. Thailand is so fun and the people are so nice. Can't wait to see your pictures when you get back. It's been too long since my last vacation there! Yay for Thailand! I wrote a post on Chatuchak market! There is a great food street market in Patong as well. I loved the serenity of Raya island as well. Take a 1 day boat trip if you can to get a taste of several sites including James Bond Island and Khao Pad. I can send you a picture of the brochure if you want me to email you.